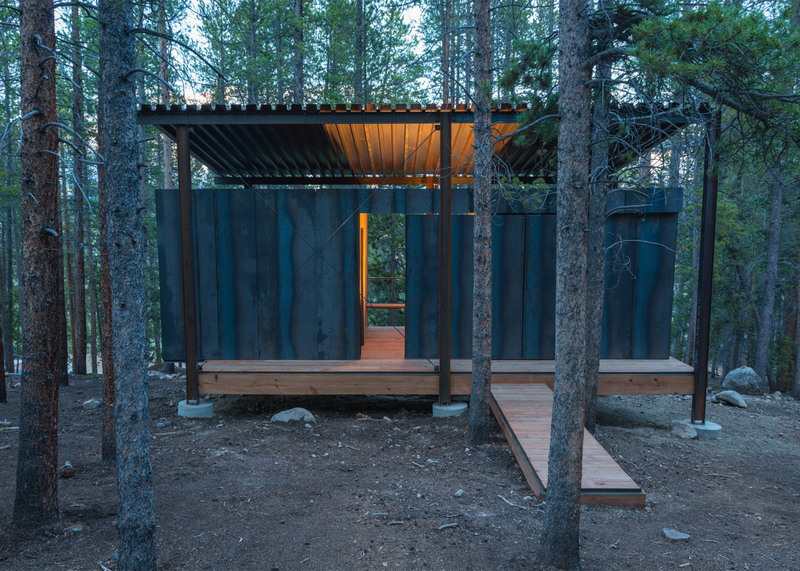 Architecture students from the University of Colorado Denver have built a series of rustic dwellings for an outdoor education school in the Rocky Mountains (+ slideshow). 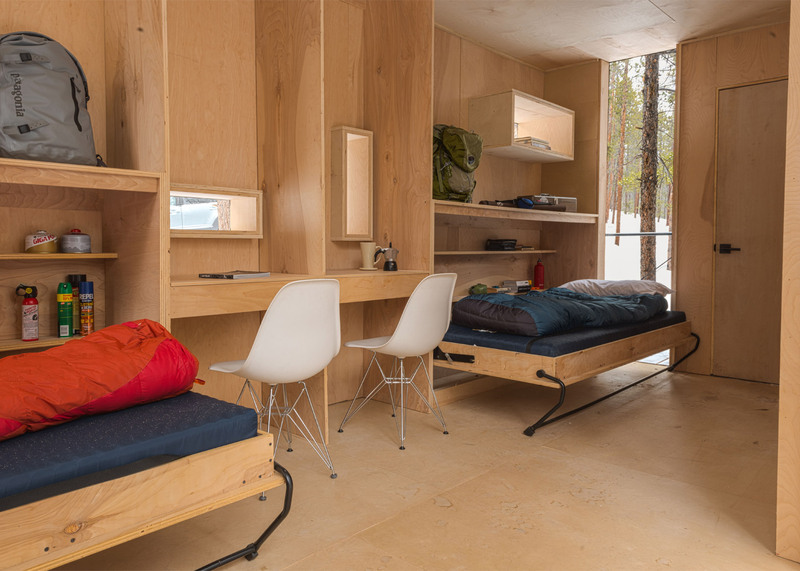 Participating in a design-build programme, the students designed the cabins for the Colorado Outward Bound School – one of 40 schools around the globe run by Outward Bound, the nonprofit outdoor education organisation that focuses on expeditionary learning. 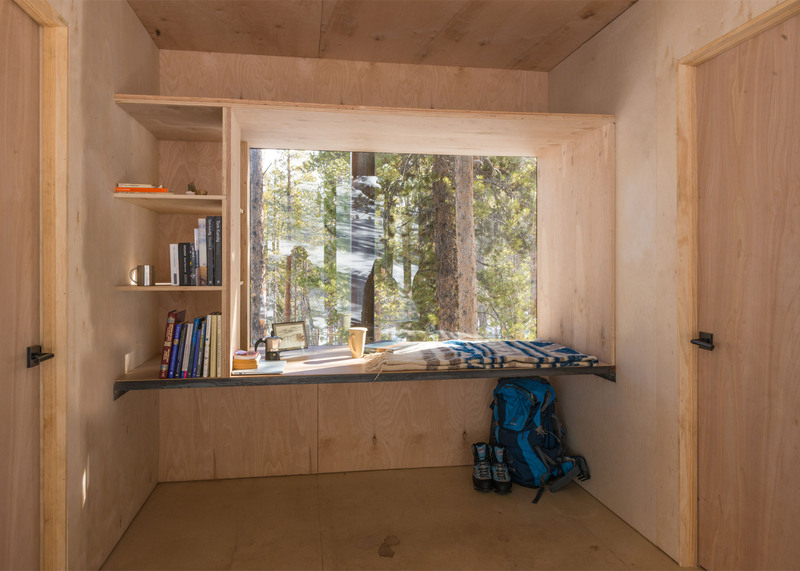 The Colorado Outward Bound Micro Cabins – each measuring between 140 and 200 square feet (13 to 18 square metres) – were created to serve as "micro dormitories". There are 14 dwellings in total, and they were constructed on-site in three weeks. 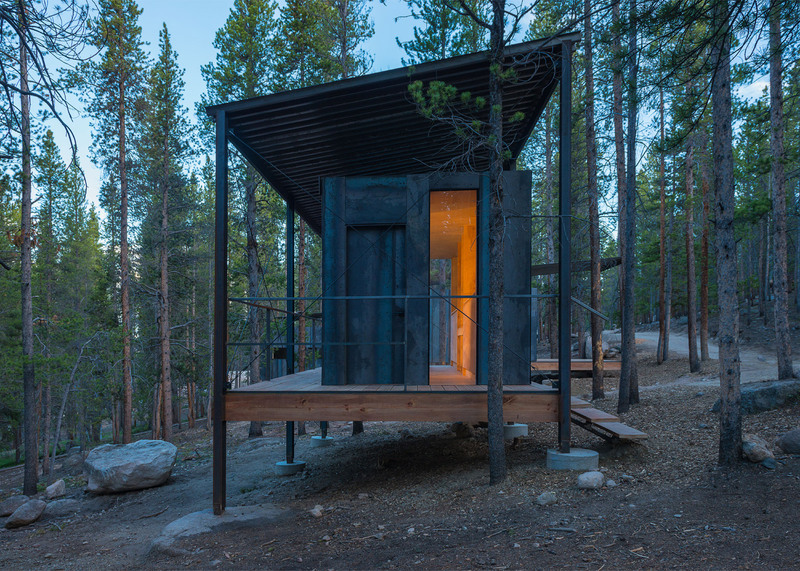 Made of metal and wood, the cabins are situated on a steep hillside in a lodgepole pine forest near Leadville, a small town in the heart of the Rocky Mountains. Elevated several feet off the ground, the dwellings were designed to have a low environmental impact. Providing a strong connection to nature was central to the project, given both the scenic context and Outward Bound's focus on providing wilderness experience. 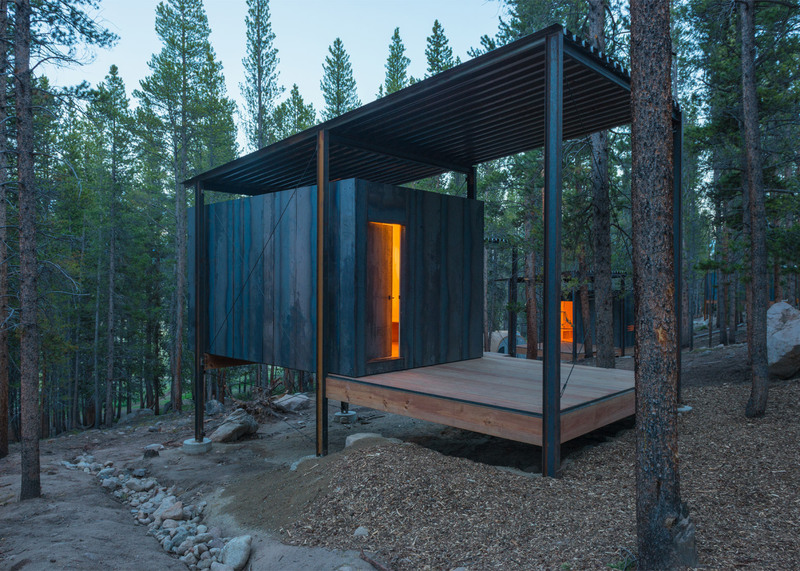 "The cabins sit lightly on the landscape, directing views from private spaces towards trees, rock outcroppings, and distant mountain views of the Mosquito Range," said the team. 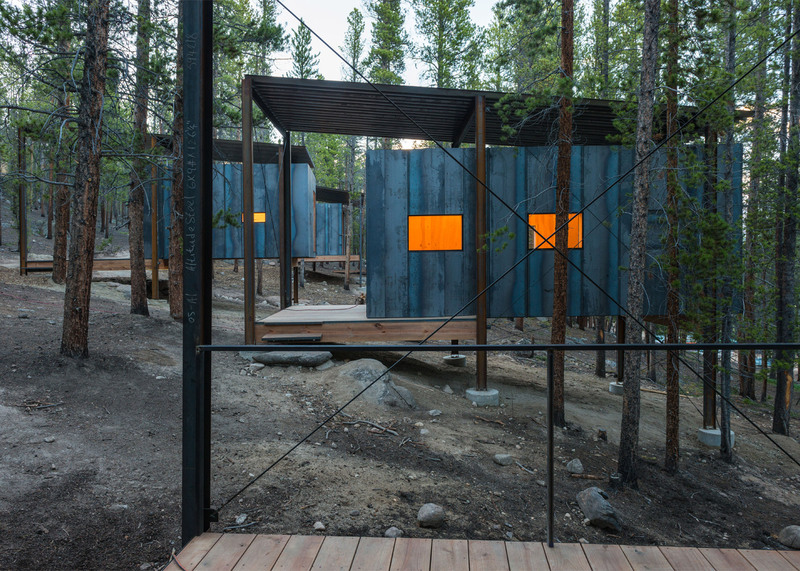 "This steel cladding and the vertical columns blend with the lodgepole forest, minimising the visual impact of the cabins." The buildings were each conceived as two separate elements: a frame and a box. 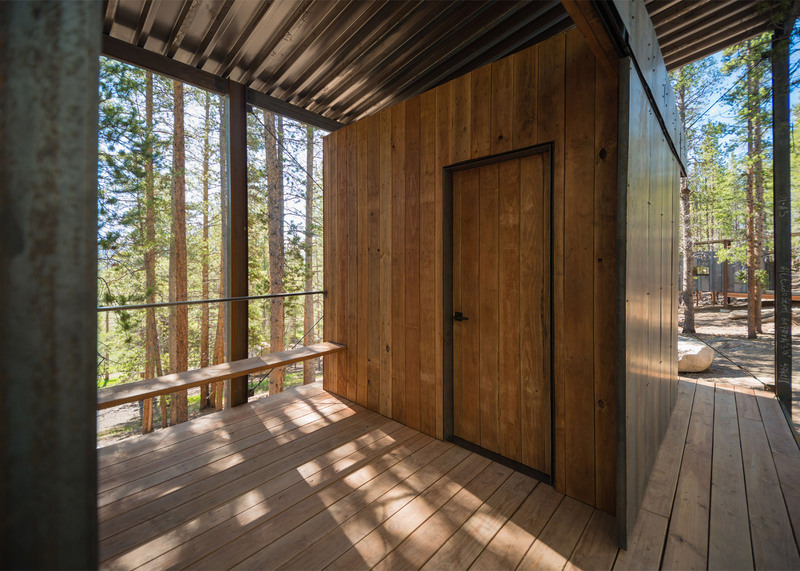 A steel frame supports the box and its wooden porches, while also serving as a storage device for adventure gear such as bikes, skis and kayaks. The frame is topped with a corrugated metal canopy – or "snow roof" – that is intended to keep snow off the enclosure. The box, meanwhile, is clad in hot-rolled steel, which is durable and requires little maintenance. The team used structural taped glazing on the windows to eliminate the need for mullions and to better "connect the occupants directly with natural views". 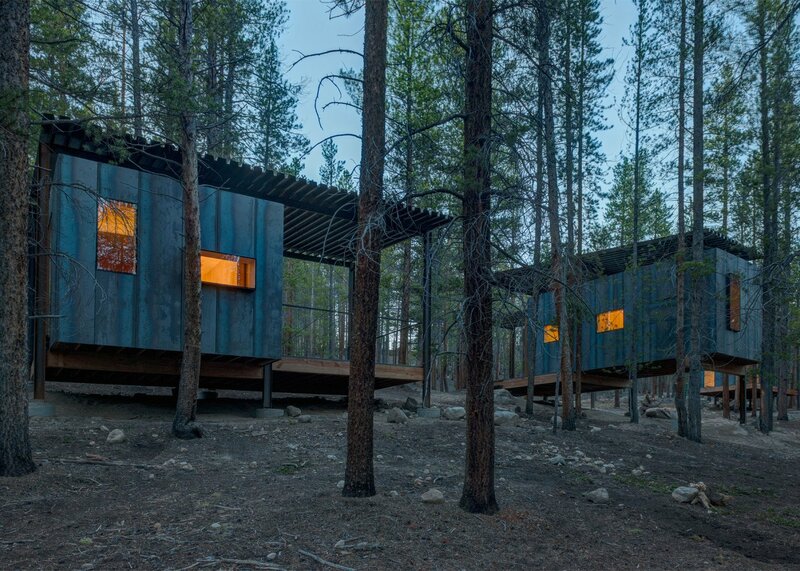 Each cabin sleeps two to three occupants. 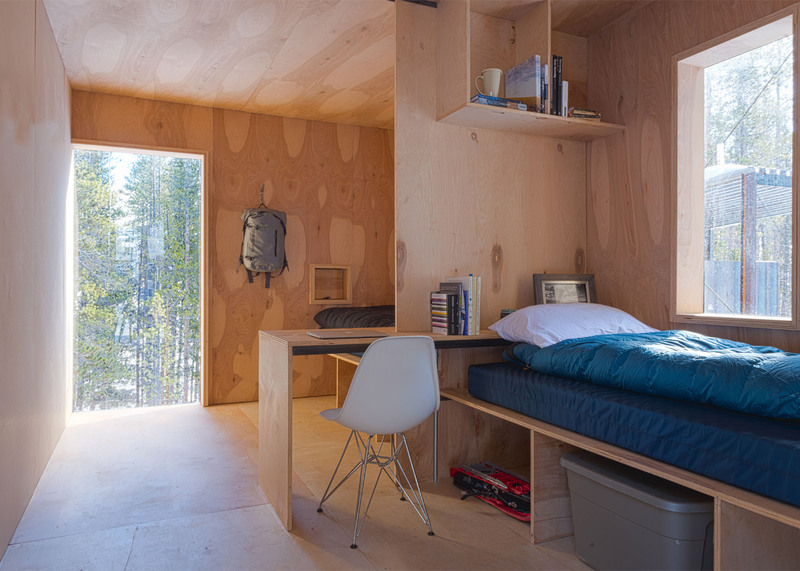 Desks, beds and storage areas are formed of milled birch plywood that was cut using a computer numerical control (CNC) process. 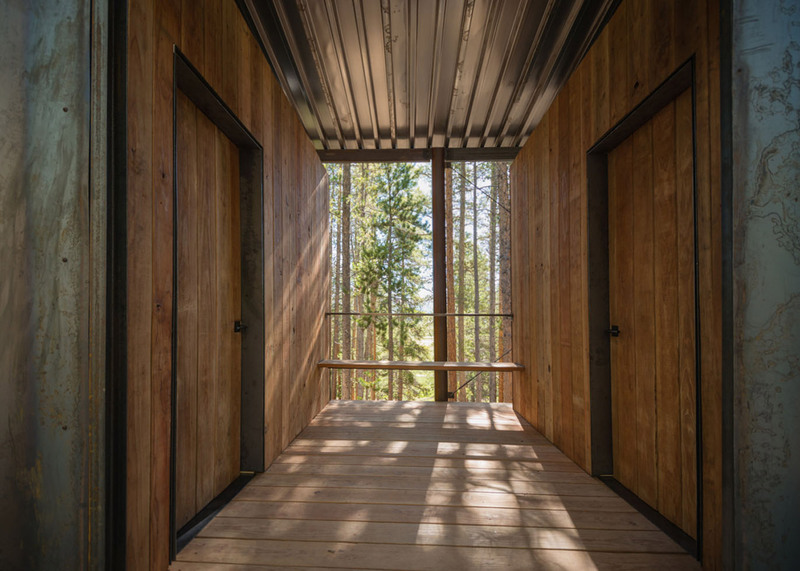 "The interior of the cabin is skinned in CNC'd birch plywood, bringing warmth to the interior and evoking a connection with the trees surrounding the site," said the team. 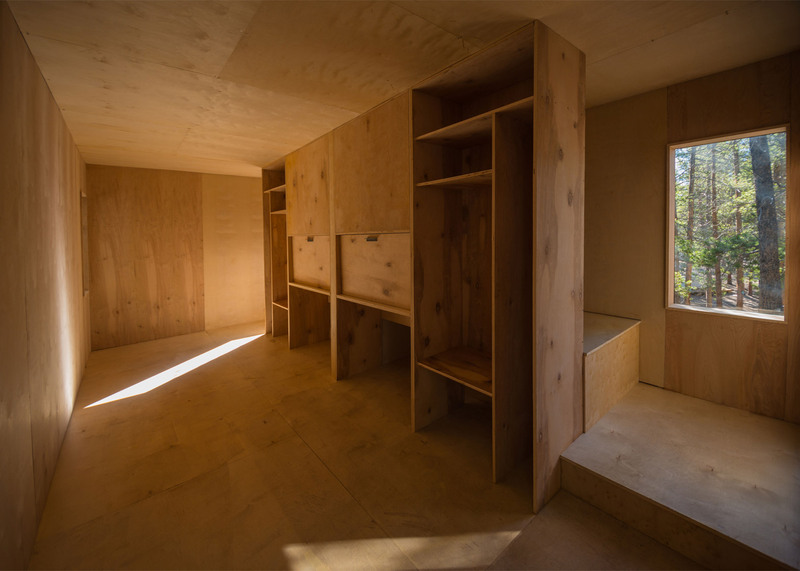 The students and faculty also designed a communal bathhouse, which is located near the cluster of cabins. Plans for a staff lodge and dining facility are in the works. 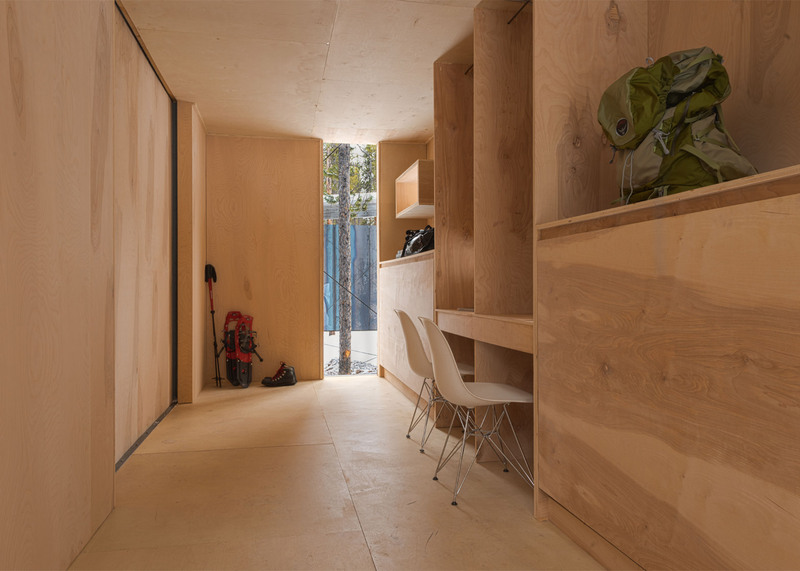 To shorten the construction period, the walls and plywood elements were prefabricated in Denver and then flat-packed and delivered to the site by truck. 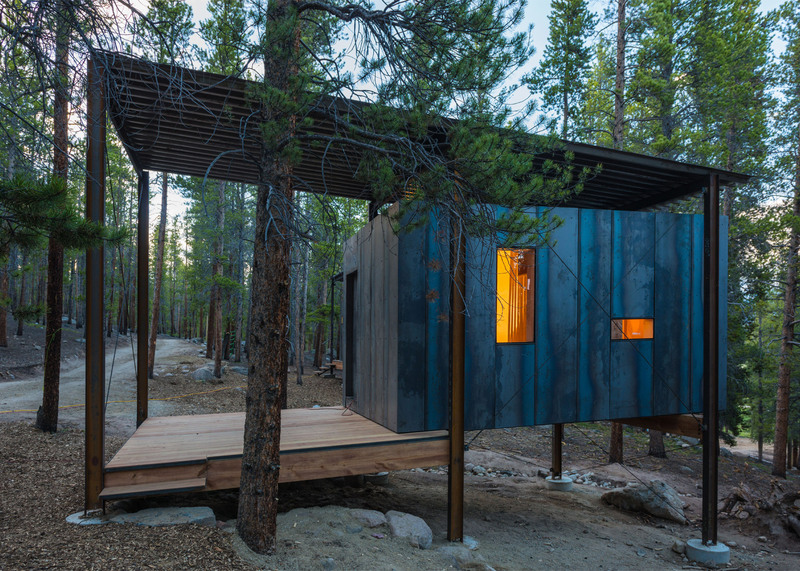 The project was conceived by the Colorado Building Workshop, a design-build program within the architecture school at the University of Colorado Denver. The students were led by faculty members Rick Sommerfeld, Scott Lawrence, JD Signom and Jordan Vaughn. 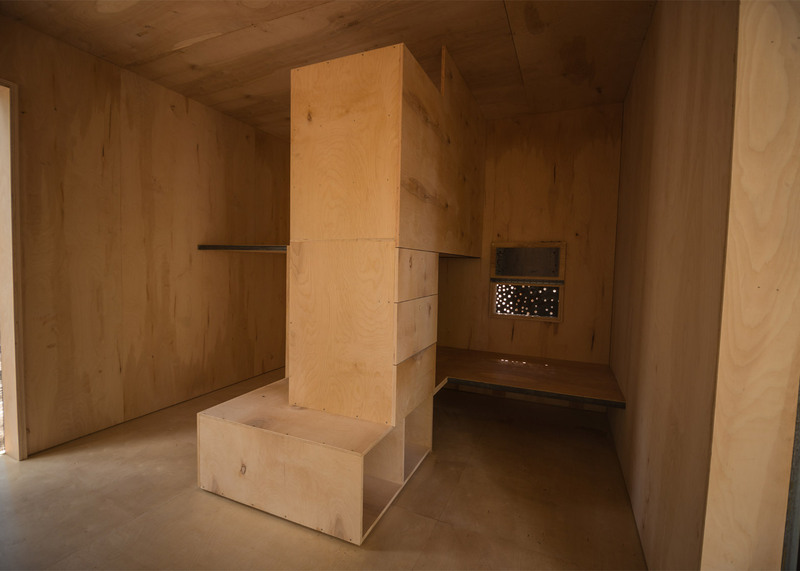 In 2014, the programme collaborated with the University of Utah to build a pair of micro cabins on the Navajo reservation in Utah. 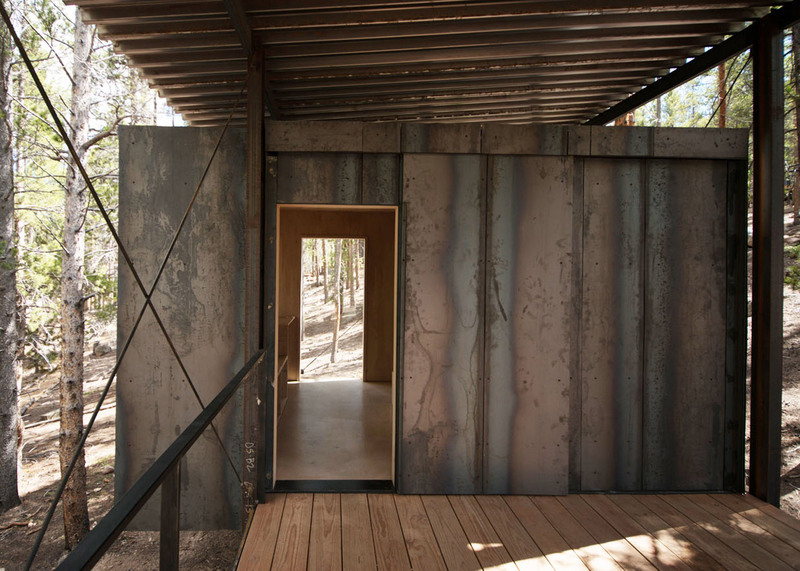 Colorado architecture students also built a modern home for a Navajo woman that is clad in timber and recycled glass. Photography is by Jesse Kuroiwa.